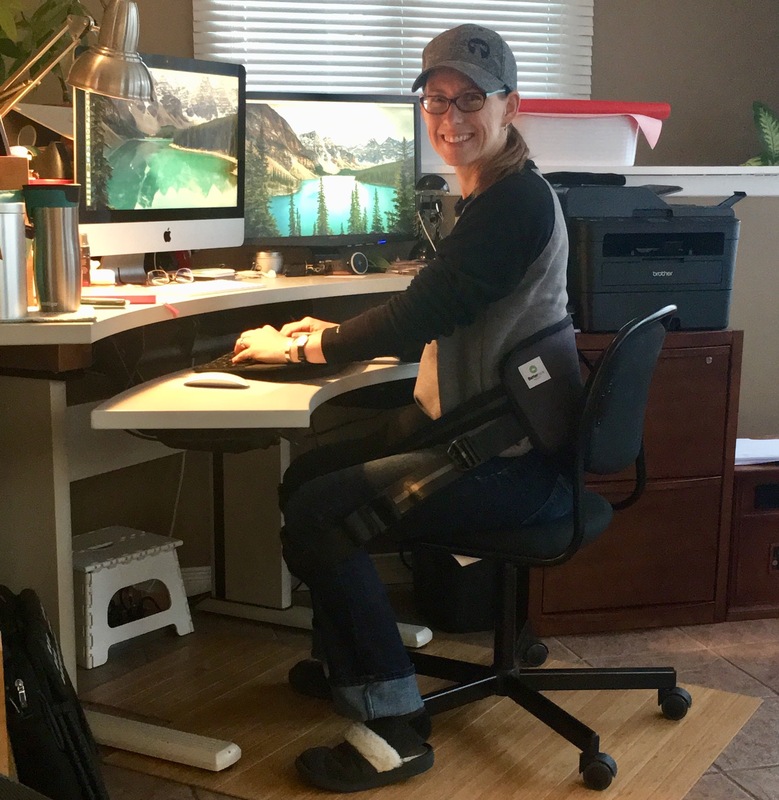 "Yes - it improved my posture and made sitting correctly a natural thing :) However it's a little bulky - not too easy to bring around"
"Just received my 2 x SuperStrap set. Meticulously packaged. 'Activation zip' is ingenious. Will try it soon." "My pain has definitely been a lot more relieved since using the BetterBack 15-30mins a day for the past few weeks. I started using it more often especially when I’m using my computer. Great Product!!!" "Just got my 2 pack. I�m totally impressed by the product and service. Thank you for the hand written note. I love the configurability of the straps (band pillows, memory foam) and just the quality so far. They feel sturdy and aesthetically nice to touch. I loaded up my Osprey Farpoint 80 and when I activated the straps the bag felt so much lighter and manageable. I�ll have to test them out on a long trip. Thank you for the great work." "Mine arrived in Australia yesterday. I put them on my son's school backpack and didn't say what they were for. Once he had his backpack on I "triggered" the super straps and the unprompted response was "Wow that feels so much lighter"." "Tried first time from a friend and ordered it immediately. Remodel housed and back always hurt at the end of the day. Not any more. " works just as advertised, on my way to much better posture! "I slouch terribly when I sit at my desk working on my laptop. I previously had terrible sciatica and ultimately had disk surgery, which left me with limited mobility in my lower back. Better back forces me into the correct posture and is comfortable to use almost right away. The first time wearing it was a bit daunting, but by the second or third time, I could get it into position in the advertised 5 seconds. I also suffer from a cervical disk impinged nerve, and although this has nothing to do with my lower back, surprisingly when I wear the Better back product, it forces my entire spine into proper alignment relieving this issue as well! My partner liked it so much he has bought his own to wear at his workplace. Highly recommended!" "I got my super straps last week and am so impressed! When I backed the project I was hoping to get these before the holidays. Can't believe you actually shipped on time with so many backers. The build quality is excellent and I cannot believe something so simple can take the pressure off so well. They look great on my PD backpack. So happy I backed this fantastic project. Thank you team!" "I'm almost half way into my forties and my body is starting to complain about it. Mild back aches, a pinched nerve in my shoulder, the need for and upgrade to a properly cushy-yet-supportive mattress to sleep on, etc. Pretty normal stuff for people in this age bracket based on what myself and my friends are experiencing. I've recently started my own business and depending on the day, I might spend anywhere from 6-12 hours sitting at my desk. Needless to say, an ergonomic desk and computer peripherals can only do so much. BetterBack has helped to start to re-teach me how to sit properly in order to alleviate my back discomfort. You can feel the difference immediately and it's amazing but let me tip you off to the fact that years of slouching will have left your core and your back muscles weak. Getting those back into a strong and fully engaged state will take time. Start with short sessions with your BetterBack and work up to longer periods of time. Day by day you'll be restoring your body to a state where sitting will no longer equal discomfort! The future senior citizen version of you will thank the forties version of you for your efforts! " "There is nothing else to say other than this products works....period. 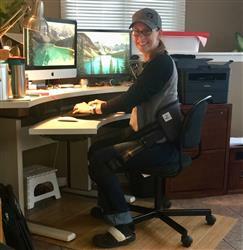 I felt instant relief and my work days are pain free from my terrible posture. If anyone is considering this product, stop considering it and just buy it. You will not be disappointed at all!." "BetterBack has greatly improved both my posture AND my back pain." "Hi, in Sept. 2008 I was involved in a motorcycle accident and damaged my spinal cord C-5, C-6 &amp; C-7 leaving me paralyzed from neck down for close to a year. But, with much thyeropy I am walking again but in a very crooked manner. But I have been using your Better Back when I am sitting to help preserve my posture and mussel memory.I feel that the Better Back is helping me obtain a better sitting and walking posture with less discomfort. I plan to share your device with my rehab physician at my next appointment. There are several truck drivers that I know that wish there was something for them while driving. Something for your R&amp;D to think about. Thank you, Mark Saxon"
"It work very well. Very easy to adjust. Very comfortable and supportive. The improve poster increase my productivity at work as I don’t have to strain my back to sit upright all the time. I also have spondylitis and I hope in long time this can help me return the spine to the correct curvature." "I just wanted to say a huge thank you to you and your team for creating and bringing this product to market. I am 25 years old at the time of this writing and have had back pain since I was 16 years old. I have been in and out of different chiro offices for the past 9 years only to have the same results over and over again, taken muscle relaxants, high strength CBD oil, massage therapy and now started yoga. NONE OF THESE HAVE HELPED AS MUCH AS ONE DAY OF USE WITH THIS PRODUCT! While those treatments do work for some, they did not really for me, having to pay $45&#43; per visit for most of these things adds up. Paying for this product once and having it work makes me want cry tears of joy. Super skeptical at first, but now I am a big time advocate of this, I have convinced everyone in the office to purchase one. Thank you so so so much again. I would hug you if I could!" "I immediately felt supported wearing BetterBack for the past 2 weeks, however starting 2 days ago I’ve had excruciating lower back pain. 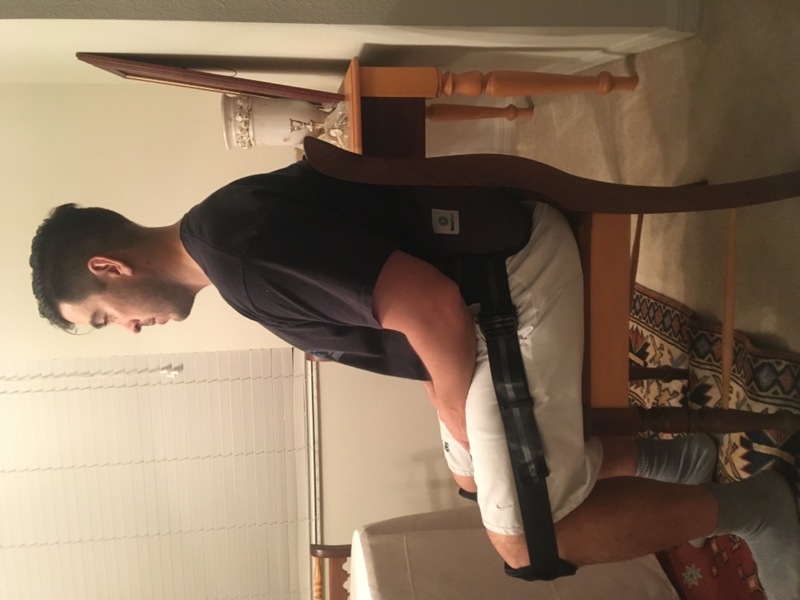 I bought BetterBack mainly to improve my terrible sitting and walking posture. I have never had lower back pain or seen a doctor for back pain, so this is new and very scary and worrying. If you have any ideas on what I should do please let me know." "Popped my back 2 weeks ago taking bowling balls out of my SUV. Been on ice pack for two weeks with minimal pain relief.. Got my Better Back tonight 10/30/2018 and used it and got immediate relief. Got to be one of the best back pain cures ever constructed. Have already recommended it to one if my bowling partners. He has been with sciatic pain for several months and I'm sure this will help. We are both in our mid seventies so we have both have seen several back &quot;cures&quot;, but I feel this is the best solution so far." Computer user back pain... Relief!! "I just got my Better Back Therapy about two weeks ago and have been using it at my desk for the past week. I work on a computer and was starting to feel the keyboarding posture taking over my life. I saw this product on one of the morning talk show deals and decided to try it. Definitely, a good choice as I feel that it is helping me to improve my posture when sitting at my desk and through that, I am eliminating a lot of the pain I was feeling. Thank you!" "I've been experiencing back pain for over 2 months. Posture wasn't so great when working, especially my work involves sitting for over 8 hours a day. Have only been using it for like 3 days, but I've felt significant improvement over these couple of days. Been using it the whole workday. Will recommend it to everyone." You are healing the world! "This is a terrific, cost effective product solving a very important need. It does its work and always keeps you in good posture when you wear it, sitting on any chair...you don't need reminders anymore to watch your posture! Love it, highly recommended for people of all ages, whether you are looking to cure back pain or just interested in improving your posture over time for a &quot;better back&quot;!" "A month ago I visited my son and was having problems with my back whilst I was there. He had purchased your Better Back some time ago, and set it up for me, the effect was immediate. I ordered it for myself, it is fantastic, I put it on most days. I'm doing the gardening again - i'm a fan. I will be 80yrs. next birthday." "I love how the BetterBack brings my body into its best posture. I have scoliosis and it takes the chronic pressure and pain away when I am using it. I would definitely recommend it, and I bought one for a friend who spends a lot of time sitting at a computer. " "I've had this product for around a week, and love it. I put it on and keep it on for around 15 to 30 mins. My back feel so much better i can actually get up from a sitting position without looking like i'm 80 years old. this is a great product, and would for sure recommend this product to anyone with back issues. I've had years of back problems. As a truck driver and heavy equipment operator i've destroyed my back bouncing around in a truck and equipment, I've also done damage playing sports, and this is helping my emensly, and love your product." "Betterback definitely improved my posture. Hopefully it will help me develop new healthy habits for my back." "It helps me with my posture while sitting. It is good." "Love this product. My body feels really good after wearing just a few minutes. Would recommend ." "Hello. It has improved lot. My problem is shorter right leg and problems in right knee. That is why I tense the lower back muscles. And so on hip and neck problems. Your BetterBack has helped and teached me to relaxe muscles. I am very very happy, I bought BetterBack. Sincerely Kai R"
"This product has literally changed my professional life. I can now sit hours without my back becoming tired. I have already bought it for 3 of my friends! :) "
"I literally look forward to wearing BetterBack every day! It’s so comfortable and it works!" "I have lower back problems which can cause long distance travel to be uncomfortable. Last week I flew 18 hours and used my BetterBack for the first time. It was easy to pack and helped relieve the back pain I normally feel when traveling long distance. I haven’t used this product long enough to say its improved my posture, but while using it, it definitely relieves back pain. It feels GREAT."